Toulouse have announced their squad numbers for this year, and Joe Bretherton will wear the No. 10 shirt. 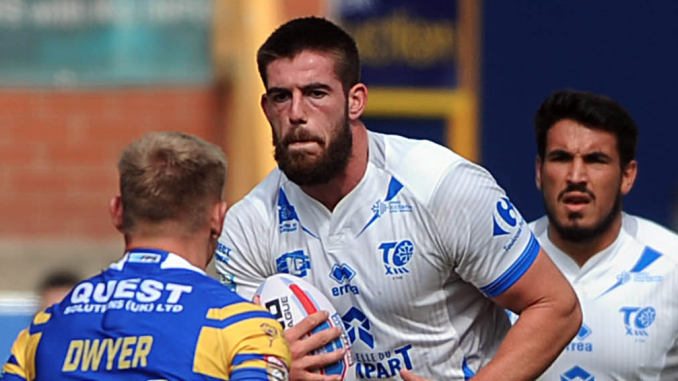 Bretherton joined Olympique on loan from Wigan Warriors last season and impressed while in France, earning a deal with the club for 2019. Italy internationals Dean Parata and Brenden Santi will wear number 14 and 22 shirts respectively. Scotland international James Bell will wear 19, while Wales forward Ben Evans has been given the number 14 shirt. Toulouse’s other new signings – Patty Vaivai, Ilias Bergal and Jordan Dezaria – will wear 15, 20 and 21 respectively.